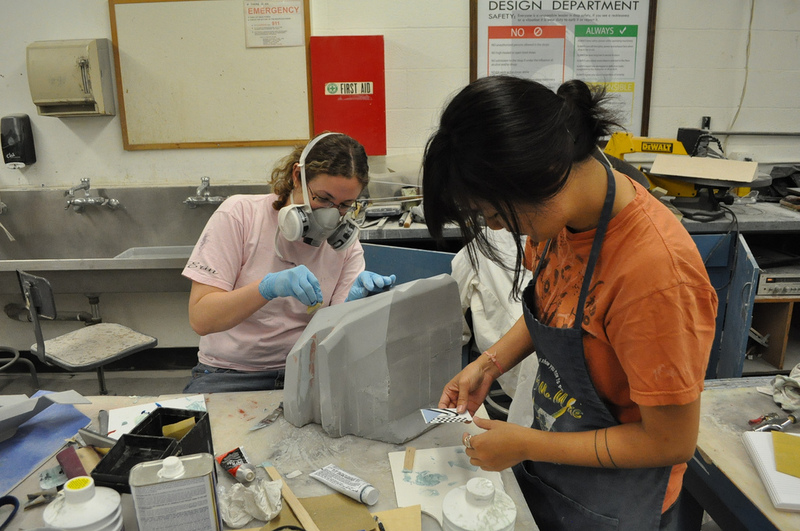 Stella Lee and Erin Bodner are preparing the foam for making the female mold of their front grille. This particular portion of the car holds the headlight. 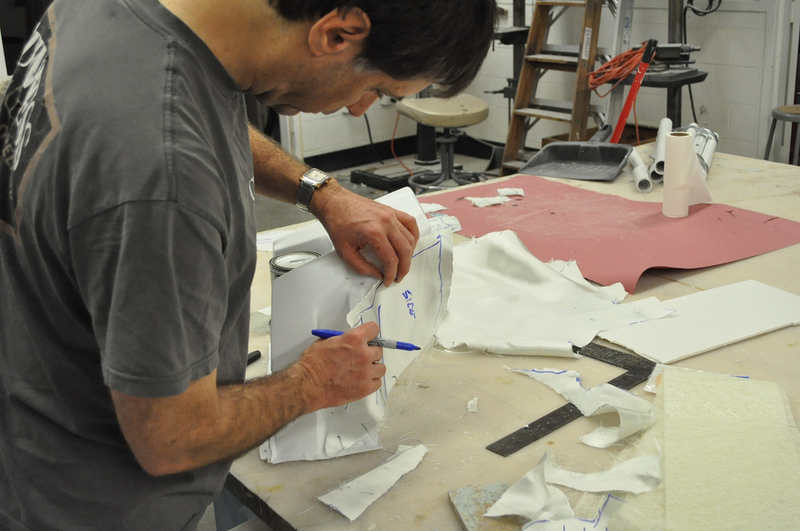 Eric Schmidt pre-cuts the fiberglass for Erin. 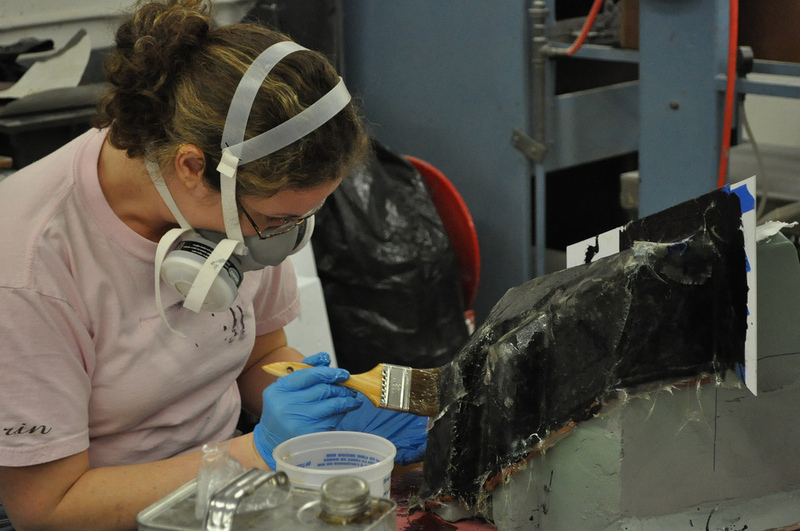 Erin fiberglassing the female mold.